One of these challenges for the future is clearly the digitization process of traditional enterprises, which NC Service is strongly supporting, as a way to improve and modernise. This digitization involves adapting enterprises to the concept of INDUSTRY 4.0 or Smart Industry, within the so-called “4th Industrial Revolution”. This is a new way of organising the means of production, directed at achieving the greater adaptability of enterprises to production requirements and processes, together with a more effective assignment of resources. In line with its R&D&I strategy, set in motion some years ago, NC Service is supporting this type of initiative as a necessary step forward, and is committed to the digitization of its processes, services and products in the short term. For this reason, and as a member of the Capital Goods Cluster of Castile and León (CBECyL), NC Service took part in the first of three workshops organised to determine the level of technological adaptation of the enterprises forming part of the Cluster and to define the possible steps to be taken for the full implementation of Industry 4.0 in these enterprises. The aim of these workshops is to achieve a Road Mapto make this transformation possible, by implementing projects and initiatives to transform and adapt our enterprises to the new digital ecosystem around us, through the analysis of production processes and the development of new products that incorporate the technological improvements facilitated by the new technologies. CBECyL submitted this proposal, which was accepted by the Regional Government of Castile and León. 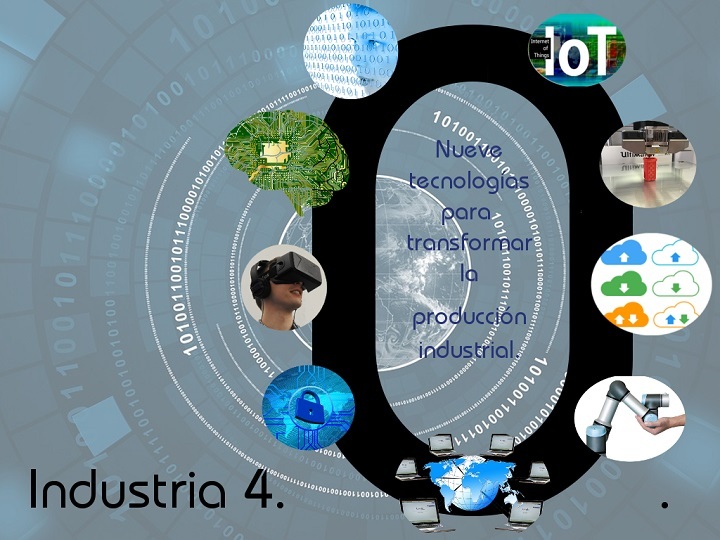 In order to take the necessary steps to achieve its goal, CEBCyL counts on the collaboration of the team of experts at FOM Asesoramiento Tecnológico, a technology consultancy whose medium-term goal is to provide the necessary means to ensure that, in Spain, investment is channelled to enterprises within the area of IoT technology and Industry 4.0. These actions, coming within the framework of the call for proposals to support the Innovative Business Clusters of Castile and León, are co-funded by the European Regional Development Fund (ERDF). At Nicolás Correa Service, S.A., in our desire to continuously improve our methods and know-how, we´re looking forward to taking part in the forthcoming workshops, scheduled to take place on the 17th and 29th November, and to progressing towards the digital age.